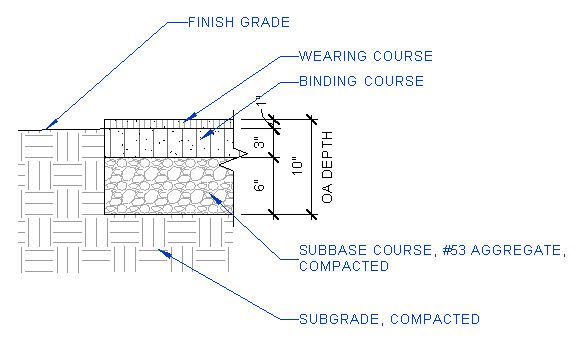 In Revit, the Detail Component is an interesting combination of Model and Annotation elements. It is a loadable 2D Family, but unlike a Generic Annotation (which is based on the View scale and will always be the same size on a Sheet), a Detail Component is based on an actual, physical size. But though it is sized according to the model, it is still a detail/ annotation item and so (like Detail Lines) they only exist in the view that they are placed. Since they are based around actual dimensions, they are endlessly adaptable and can be made highly parametric. Like all other model-based families, they have a Keynote Parameter, which can be used to Tag the element based on a predefined Keynote Database. And since 2014, they have also been schedulable as Detail Items. 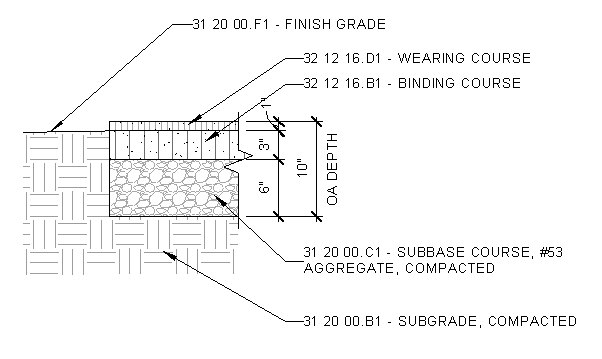 Architects tend to use them primarily for Section Details, but there are several other ways that you can use Detail Components in the landscape. One of the most common uses of detail components is in typical details (which are made in drafting views). Details can be made with as many or as few components as you want. Here is an example, where the entire detail is constructed with Detail Components and annotated with Keynotes. And while there is up-front cost with creating a Detail Component library, having that library will save time later when creating new details and detailing out sections. 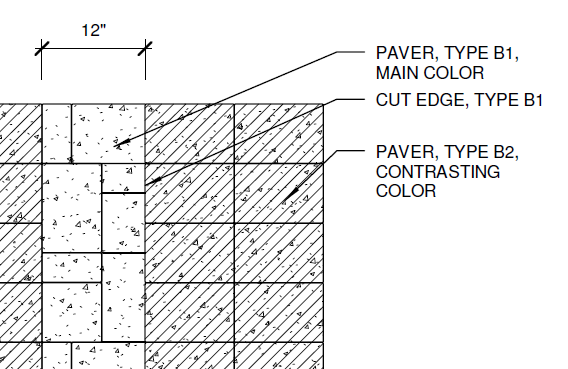 Though they are most often used in section details, Detail Components can also be used for plan details, such as a paving, or even planting patterns. The same components that you use to create typical details can also be used to detail out sections. This is particularly applicable to the landscape, which is often difficult to model accurately in detail. Stairs, for example, can be modeled to look correct above grade, but if you look at them in section they are less than accurate. 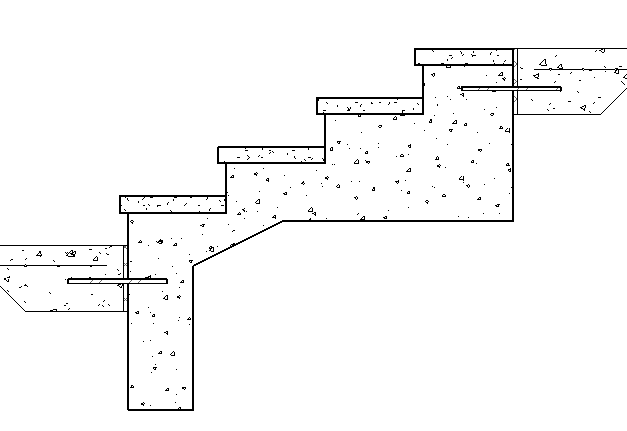 Detail Components (and even Filled Regions) can be used to complete a stair section more appropriately. But be careful when using Detail Components instead of more detailed 3D modeling. It may be easier to make a Section view look right, but anyone who is coordinating with you is usually looking at the 3D model. There are several different ways that graphical symbols (besides modeled geometry) can be shown in a Family. Symbolic Lines and Generic Annotations are both frequently used. But sometimes, in the right conditions, a Detail Component can be nested into a Family for graphical reasons. Detail Components are usually not used in plan since it is usually easy to place elements in plan and it is often preferable to have actual model elements. 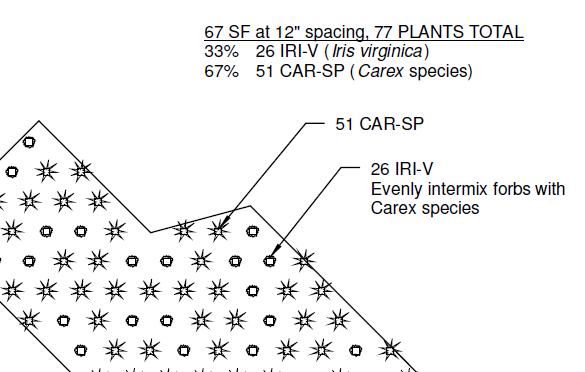 But if you want some diagrammatic elements shown in plan, it might be worth using a Detail Component. Continued in the next post, Site Analysis with Detail Components.